Life is a great adventure for Neil Patrick Harris and David Burtka and their 7-year-old twins Harper and Gideon. It doesn’t matter if they’re going to the movies or out for dinner, the family always enjoys being together. 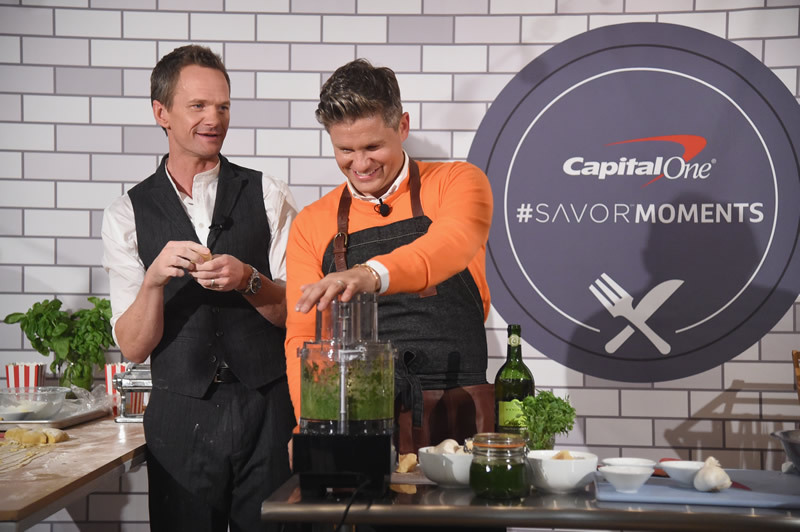 That’s why Harris and Burtka are excited about their new Capital One Savor card with 4% cash back on dining and entertainment, 2% at grocery stores and 1% on all other purchases. “It’s a benefit to everyone,” says Harris, a five-time Emmy Award-winning actor, comedian, author and magic enthusiast. Sushi is one of the family’s favorite proteins and their Savor card provides cash back simply and effortlessly. “It makes the cost of sushi less expensive,” Harris says. Living in Harlem, New York opens up a world of opportunities for the active family. “One of the things we love is going to the Natural History Museum and packing a lunch and eating in Central Park,” Harris says. “There’s so much culture here,” chimes in Burtka, chef, caterer and award-winning actor. Like other families, the Burtka-Harris household is busy in the summer when the kids are out of school. “We go to the movies, theater, the zoo or sporting events at least once a week,” Burtka says. Harris and Burtka are raising their children to appreciate sharing those family experiences, whether it’s a quiet dinner at home or catching a New York Yankees game at Yankee Stadium. Food was always a major part of Burtka’s life. “Our whole world revolved around food. Every weekend we would have a family party. We are second generation Polish and we love to cook,” says Burtka who will soon release his first cookbook, Life is a Party. His family loved being around one another. One of his fondest memories is sitting around the breakfast table on Christmas. “Every Christmas morning after opening presents my mom and dad would have a grand feast at breakfast,” he says. Dinnertime is sacred for Harris and Burtka as well. They have a no-screens rule at the dinner table, especially if the family is eating in a restaurant. Of course, there are always puzzle books and crayons to grab the twins’ attention, if need be. But dinnertime is the time to look squarely at each other and share what’s going on in their lives.